My wonderful mother was a passionate amateur pianist, and she joyfully shared her playing with me when I was still in the womb! A little later, she taught me to sing melodies before I could speak. She also composed melodies to represent individual words, and taught me to communicate in this way. Also my father played the violin, and the house was always full of live and recorded music. I’ve always had a deep emotional connection with the language of music, and Bach’s in particular. So any other profession? Impossible! There have been many powerful influences which have shaped my artistic priorities and my development as an interpreter. Despite being privileged to have excellent piano professors (such as John Lill and Arnaldo Cohen), after a number of years I came to the realisation that I must devote my life to early music. So as a pianist, I decided to move away from piano repertoire. The single most influential individual has been the harpsichordist-organist-scholar David Ponsford. My lessons on the harpsichord were a revelation, and through this knowledge I was inspired to create a vocabulary of sound and expression on this beautiful modern instrument which allows me the greatest emotional freedom. Listening to other early instrument performers has also been a primary influence. Anner Bylsma, John Eliot Gardiner, Michael Chance, Philippe Herreweghe, and of course Gustav Leonhardt (one of David Ponsford’s professors) … these are only a few names which immediately come to mind with reference to my development. I would also mention the work of certain musicologists, such as Yo Tomita whose name is synonymous with Bach research. Every performance of Bach’s Well-Tempered Clavier has always been a major challenge. I can’t decide which book contains the greater demands in performance… Certainly the ending of Book One is a kind of pinnacle, with the long, torturous and emotionally devastating B minor Fugue. What a moment! Each book is demanding in terms of sustaining a particular kind of uninterrupted focus for an extended period. It’s the intellectual focus on every sound, coupled with the diversity and intensity of the emotional journey… It’s a marathon, but a marathon I love to undertake. And it’s wonderful to sense the audience running with me! My recording of Bach’s Well-Tempered Clavier II has just been released, and I am thankful for the sense of expressive freedom I felt during the sessions, not hindered by the quest for absolute precision. When listening to the playback, I was very pleased that the more unusual interpretive concepts were captured… the A minor Prelude for example. I also love the recorded sound and worked closely with the engineer until we found the warmth and transparency I had imagined was possible. Composers become your friends. Just as it is natural to feel closer to some composers more than others, likewise some works stand out as those you feel closest to. These works seem to most completely synchronise with your own expressive world, your inner self… They may also have been an outlet for your most significant, and perhaps difficult, life experiences. Because of these connections, I’m inclined to say I might play these works in a more special way, but of course it’s objectively impossible to ascertain whether this is the case or not! I have no specific pieces to name. Let each listener decide for themselves. I happily reprogramme many wonderful works for successive seasons. Certain masterpieces can never be heard too often. I also have a strong aim to include works which are rarely heard. I’m referring in particular to the quantity of extraordinarily beautiful and profound music of the Renaissance and early Baroque which is normally avoided by pianists. There is so much of it! One of my aims is to bring this older music to newer audiences. Music for early keyboard instruments, organ, clavichord, harpsichord… I have a wonderful cd set of the complete Sweelinck keyboard works. And I also can never have enough of listening to Bach cantatas. If pressed I would say Gardiner is my favourite interpreter. The live recordings are electrifying. To me, as a Christian, these works move me on many different levels. This is sublime music with a sublime message. One experience seared into my memory was my first performance of the Goldberg Variations. It took place at Melba Hall at the Melbourne Conservatorium. Of course the musical impact of presenting this ecstatic work for the first time isn’t easily forgotten, but there was a rather unexpected moment near the end. I evidently was so carried away with the cumulative impact of the final variations that at the end of the Quodlibet, I found myself stretching my arms high into the air and holding them there…! I don’t believe one should ever choreograph such things but neither should we inhibit spontaneous expressions at certain moments. What do you consider to be the most important ideas and concepts to impart to musicians who aspire to play Bach on the piano? Don’t imitate other pianists. Only Glenn Gould has succeeded in sounding like Glenn Gould! Don’t simply think ‘This pianist plays it this way, but this other pianist does it this way and I will play it like them.’ Understand exactly why you have made interpretive choices. There is a very wide scope of possibilities in Bach interpretation and there are countless decisions to be made. Yes, there is a mysterious and indefinable aspect to interpretation but you should in some way know the expressive reason behind every articulation, every tempo… every single aspect of your interpretation. It must be yours. Allow your own voice to evolve. This can’t be done overnight but it’s the only way to express your message with real depth and sincerity. Because it’s not historically ‘correct’ to play Bach on the modern piano, you might feel a tendency to overlook the study of the treatises of the time. However more can be applied from these, and more inspiration gained, than you might initially think. Don’t be intimidated by the sheer volume of information. Despite the divergent viewpoints, there are also established principles to be learned and such study is far from irrelevant. There is potential for real expressive benefit. It can actually help you to play more beautifully. Just consider the doctrine of the affects, for example. You already know that Bach did not write ‘objective’ music. CPE Bach stressed personal subjective involvement, saying that there was no possibility of the listener being moved if you yourself remained unmoved. But even if the performer is engaged, Bach can still appear mechanical on the piano, especially if played with unvarying dynamics and articulation… so it is not surprising that audiences sometimes perceive his music to be less ’emotional’ than later composers. Yes his emotional world is unsurpassed in its intensity and profundity, but these emotions must be personally understood. If you find a work less explicable, search for meaning by identifying parallels in other works. Put it aside and come back to it. Always strive to achieve complete engagement and don’t give up until you do! I just mentioned finding parallels in other works. In fact I recommend you get to know and love Bach’s entire output, both instrumental and vocal, as much as you are able. There you will have a broad view of his musical personality, and it will bring you endless joyful discoveries! The same principle applies to interpreting any composer, but it is especially relevant in Bach considering the absence of performance directions in the keyboard scores. It will also lead you to think in terms of different instrumental tone colours on the piano, which will enhance your beauty of sound and expressive vocabulary. Nurture your love for the music. It’s curious but I feel that with the performance of certain composers, and particularly with Bach, one can perceive the presence (or absence) of a deep love for the music per se. This is a mysterious dimension which cannot simply be describable in terms of the interpretation itself. I believe that this love is the key to the highest level of subjective involvement (and there’s surely a parallel here to our personal relationships in life). Let no amount of intellectual or emotional analysis detract from your love of the music, as this is what must carry your performance from the first note until the last. 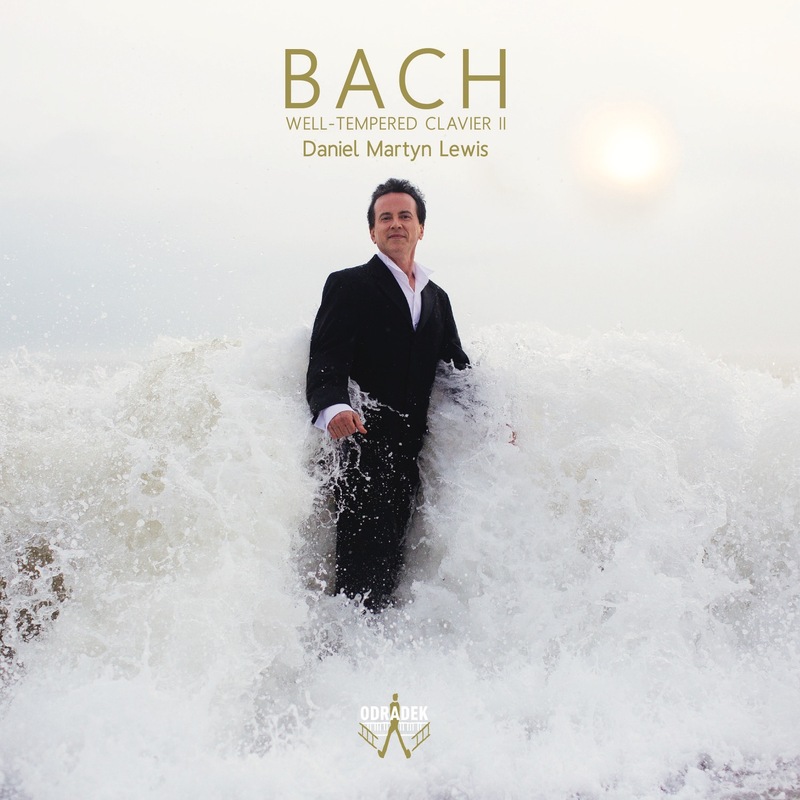 Described by Harris Goldsmith in New York Concert Review as ‘a truly fine musician’, Daniel Martyn Lewis has made a particular speciality of the music of J S Bach, and has received international acclaim for his performances. His CD debut has just been released: Bach’s Well-Tempered Clavier II on Odradek Records.